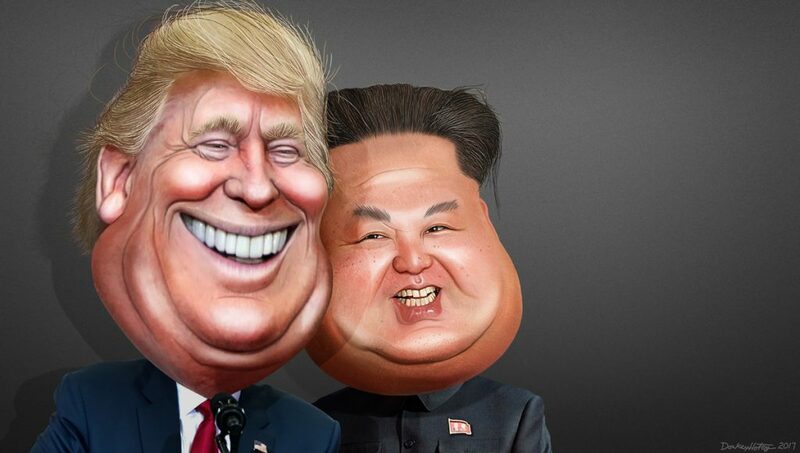 Talks between President Trump and North Korean leader Kim Jong-un is taking place in Singapore, and expected to end ahead of schedule. It is a historic meeting aimed at ending the sanctions against North Korea and its nuclear weapons program, possibly achieving peace between North Korea and South Korea after decades of cold war. Every leader of North Korea since the Korean War ended in 1953 have tried to reconcile with the U.S., including Kim’s father Kim Jong-il. On to talk about all of this with me today is James M. Dorsey. He’s a senior fellow at the S. Rajaratnam School of International Studies. He is the author of many, many books, and his forthcoming one is titled “China and the Middle East: Venturing Into Maelstrom.” James, good to have you with us. JAMES DORSEY: It’s a pleasure to be with you again, Sharmini. SHARMINI PERIES: All right, James. Now, it is about to midnight in Singapore, on the first day of the talks. Let’s start off with your thoughts on what happened today, and if this historic meeting is expected to succeed. JAMES DORSEY: I think the honest answer is we have no idea. What we do know is that at this point the summit is supposed to take about five hours. Why do we know that? Because North Koreans are saying that Kim will return to North Korea at about 2:00PM. The talks start at 9:00AM Singapore time. And the White House has said that Trump is leaving at 8:00PM Singapore time, or 12:00 GMT. Now, all of that could be thrown overboard, and they could decide to take much longer, or even a second day, and all of this may just be posturing. The second thing that we don’t know is that the were talks today, without question, between the delegations, including Secretary of State [George] Pompeo. But we’re getting two different positions, in a sense. Pompeo has said that the question of verification is key, and that there will be no lifting of sanctions until a verifiable process has been put in place. And he’s made the point that this kind of verification would have to be much stronger than past agreements concluded by the U.S. I presume he meant Iran. Now, on the other hand, the North Koreans are saying that’s where the issue of trust and confidence comes in, that there has to be reciprocity in the process. So with other words, if the North Koreans are going to dismantle a nuclear facility, there has to be some quid pro quo; that would have to be some sort of lifting of sanctions. So it seems to be that there’s a gap between the two positions that has to be bridged. SHARMINI PERIES: Now, Trump even emphasized how he didn’t really need to prepare for these meetings just before he departed for the G7 meeting. Let’s listen. DONALD TRUMP: I think I’m very well prepared. I don’t think I have to prepare very much. It’s about attitude, it’s about willingness to get things done. But I think I’ve been preparing for the summit for a long time, as has the other side. I think they’ve been preparing for a long time, also. So this isn’t a question of preparation, it’s a question of whether or not people want it to happen. DONALD TRUMP: That’s a good question. I think within the first minute I’ll know. Just my touch, my feel. That’s what, that’s what I do. How long will it take to figure out whether or not they’re serious. I said maybe in the first minute. You know, the way they say that you know if you’re going to like somebody in the first five seconds. You ever hear that one? Well, I think that very quickly I’ll know whether or not something good is going to happen. SHARMINI PERIES: All right, James. Now, Larry Wilkerson, while he’s not in the administration at the moment, still is invited to briefings of the State Department, and he is conversant with a number of people in government including Mattis. Now, what are your thoughts on how prepared the U.S. or Trump administration team is for these meetings? Or is that something that is still up in the air, as well? JAMES DORSEY: I think one’s got to be more granular about this. The impression is that Trump himself, in terms of detail, probably is not that prepared. But then again, he set the bar very low. He set the bar at being I want to know if I like this guy, and if I can get along with him, and if I can get along with him I know we have a deal. Now, the fact of the matter is that Secretary of State Pompeo has been twice in Pyongyang in recent months, and has twice met with Kim. And, of course, he had meetings today with the Korean delegation. So he’s somebody who is far more prepared. And so we will have to see whether, or how this all works out. The fact of the matter is, and in fact when Secretary of Defense James Mattis was in Singapore last weekend for the Shangri-La Dialogue, it was very clear that he’s not part of this North Korea process. He’s not in Singapore today. It’s Pompeo and the Chief of Staff John Kelly, and the National Security Adviser Bolton who are here. Mattis is not here. So in that sense he doesn’t have to be that prepared for this at this point. SHARMINI PERIES: All right. Now, Wilkerson also said that back in 2000 the U.S. was at a point with Madeleine Albright, who also went to Pyongyang as secretary of state, and clearly was trying to make ground for a visit by President Clinton later to normalize relations, now, even open an embassy in Pyongyang. Now, except those talks fell through. Now, what’s the difference between those talks and these? JAMES DORSEY: I think that we’re back to what I was saying initially, which is there’s a gap in positions. With other words, the U.S. position is verification in place, then we lift sanctions. And the North Korean position is we, we have reciprocity. Now, the talks in 2000 broke down basically because the devil is in the details. And the same is true for today. The devil is in the details. We don’t know whether they have a agreed definition of what denuclearization means. Up until now, denuclearization for the United States meant denuclearization of North Korea. For North Korea it meant denuclearization of the Korean peninsula, which would include lifting the nuclear umbrella for both South Korea and Japan. And I cannot see the Americans doing that. So I’m not-. So again, I think we’re in a position right now where it’s going to be those kind of details. And we don’t really know to what degree those details have been discussed, and to what degree there is any any kind of agreement on them. SHARMINI PERIES: All right, James, in an interview you just recently did with TRT, in it you said that both leaders have something to gain even if the talks fail. What did you mean by that? My words come to haunt me. What I meant is this: There is a notion that both leaders need a success. So there are some people that argue after the fiasco in Canada earlier this week, Trump needs a success. And likewise, given the steps that Kim has done, he needs to come back with a success. I’m not sure that’s really true. I think both men would like a success, and their favorite outcome is an outcome that they can project as a success. But if it fails they both can go back as tough guys who’ve held their ground. And I think that would work for them, too. Whichever way, whatever happens, they’re going to come in for criticism. So with other words, if Trump gets a deal, that deal’s going to be criticized on whatever grounds. If Kim gets a deal, he’ll face a similar situation, but in a much more closed circle. SHARMINI PERIES: Now, one couldn’t notice, one had to notice, that Kim Jong-un actually arrived in Singapore in an Air China plane. And so obviously the Chinese are supporting this effort, this initiative, and are involved in the background. Now, some people are also speculating that an agreement with the U.S. will undermine China’s influence in the region. Your thoughts on that? JAMES DORSEY: Well, first of all, I wouldn’t read too much into Kim coming on a Chinese plane. Obviously China and North Korea have longstanding relations, and China has an interest in the positive outcome of the summit primarily not because it’s in principle opposed to a nuclear North Korea, but because the way the North Koreans have played this in the last year has brought it to a situation where there could be war on the Korean peninsula. And that’s something the Chinese do not want. Korea, like Iran, as a disrupting factor the international system is something that works for the Chinese. Now, the Chinese probably will also, if you came to an agreement, the Chinese will probably have a role to play in, for example, verification. In terms of what this means, I think that with an agreement and a, indeed, a positive relationship with Kim and Trump, you would see a greater opening of North Korea towards the United States, and vice versa, which would mean that North Korea would have a more balanced relationship with the two major powers rather than it’s an either or situation. 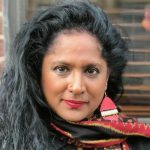 SHARMINI PERIES: James, now, Chairman Kim Jong-un has used this opening since talks began with the U.S. to reach out to other nations, meeting with the Russian Foreign Minister Lavrov, and he went to China to meet with Xi Jinping, and other nations have reached out to North Korea, and vice versa. Do you think that even if these talks fail, those relationships that have now opened up will remain? JAMES DORSEY: Well, I think, first of all, Kim already has two takeaways; one that nobody can take away from him, and one that’s conditional. So the first takeaway is he is meeting one-on-one, as an equal, with the president of the United States. That’s a kind of recognition that he has long sought, and that North Korea has long sought. And he has it, now. Whatever happens tomorrow at the Capella Hotel in Sentosa, that cannot be taken away from him. He has a second takeaway which is conditional, which is Trump’s statement that this is not about regime change. This is about denuclearization, and then helping North Korea become a prosperous and full member of the international community. With other words, giving him regime security. Now, that regime security obviously is conditional on an agreement. But going into the negotiations, as a matter of principle, here already has the second thing that he wants out of these negotiations. Obviously, if it fails, it will depend on how it fails. But presumably the blame will be put on North Korea rather than on the United States. And that would take away a lot of the, the effect that this process has had so far in North Korea. It would probably, he would probably maintain his relationship with China. He would maintain his relationship with Russia. But I think a lot of the other potential relationships would fade back into the background. SHARMINI PERIES: James, on another front, this agreement to disarm North Korea’s nuclear arsenal and achieve peace between the Koreas is seen also as a way for the U.S. to pave the way to assert its own interests in regard to the Iran nuclear agreement. Do you think that this is U.S.’s intentions here? JAMES DORSEY: It’s a possibility, but I think one has to keep one thing in mind. Whatever happens tomorrow will not be the final agreement. This is not the kind of agreement, with all the nitty-gritty detail that is involved in it, that would fall into place in a five-hour discussion. What, if this is a really successful summit, then what we’re going to see is agreement on a process. And that is going to be a process that in many ways will have to be negotiated in the future as we move forward. So success is a relative term. What I think is true is that if Trump can come out and say my hard line has worked, I’m getting a verifiable process, that is what we’re negotiating, the North Koreans understand that that’s what we’re negotiating, then of course his position in terms of having walked away from the Iranian nuclear agreement becomes a lot stronger. SHARMINI PERIES: All right. James, I thank you so much for staying up so late to speak with us. JAMES DORSEY: My pleasure. It’s always a pleasure for me.